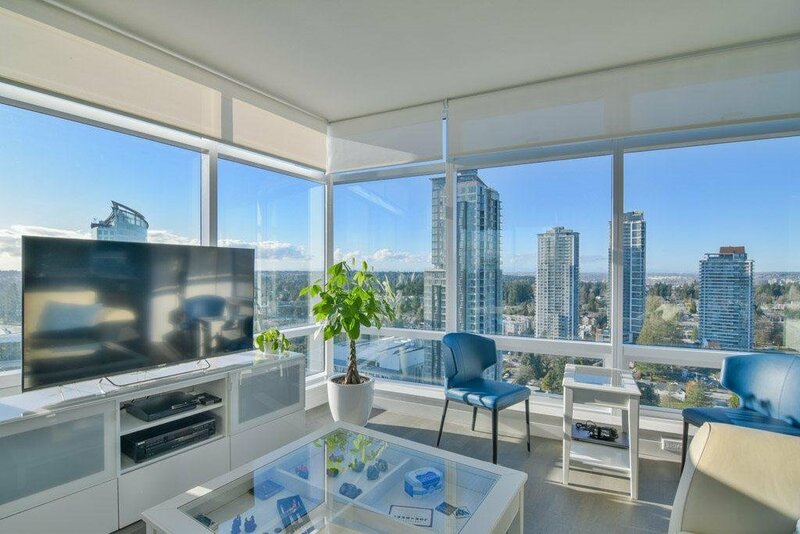 Sub-Penthouse! 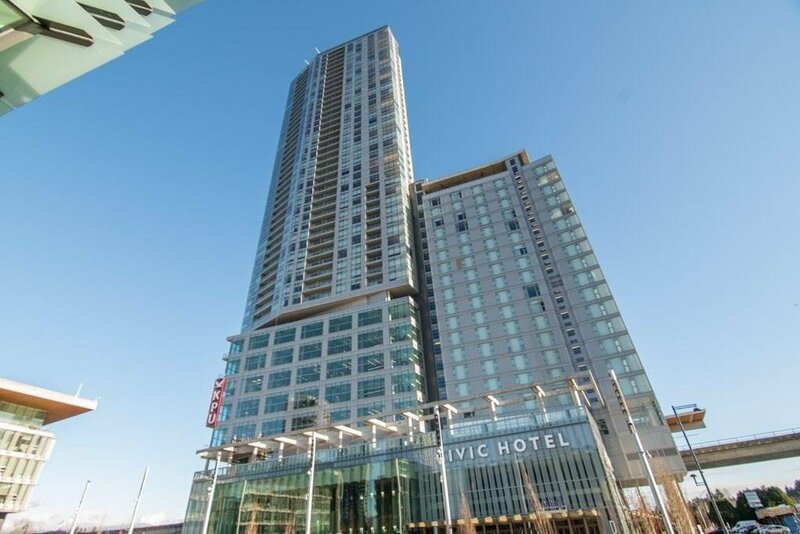 Tallest Concrete Condo tower south of the Fraser River - Prestigious '3 Civic Plaza' Premium Luxury Living world class Hotel & Residences. 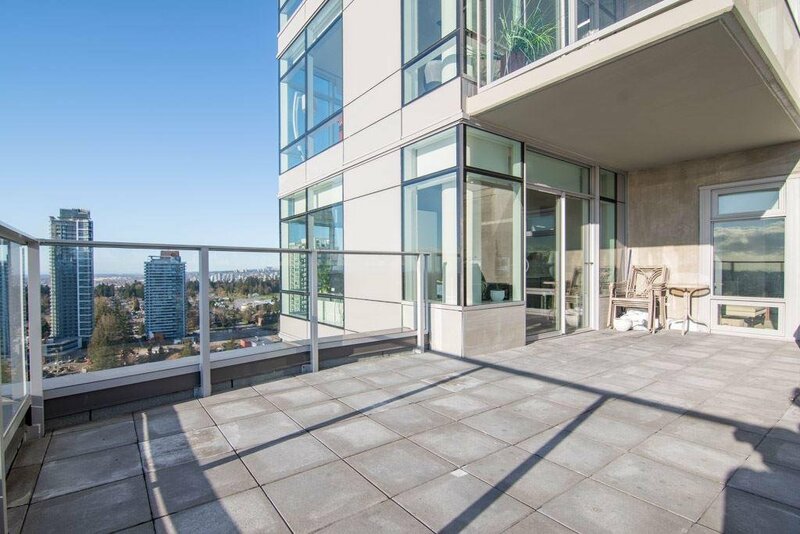 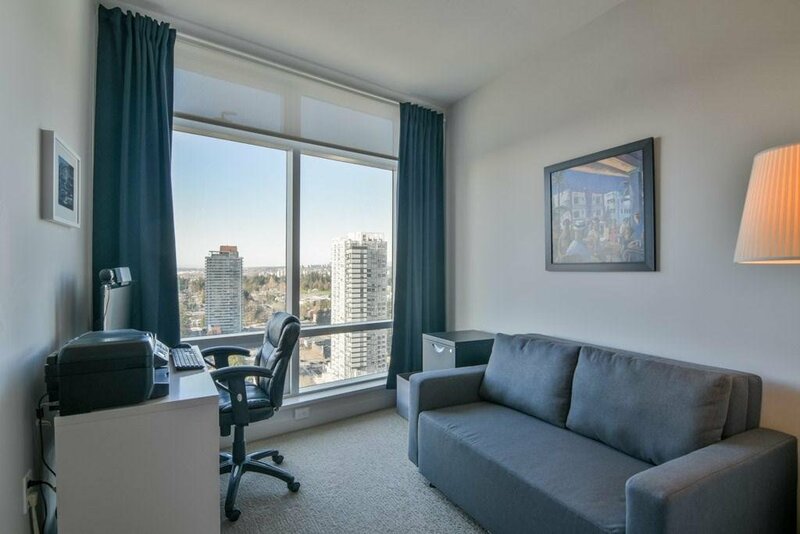 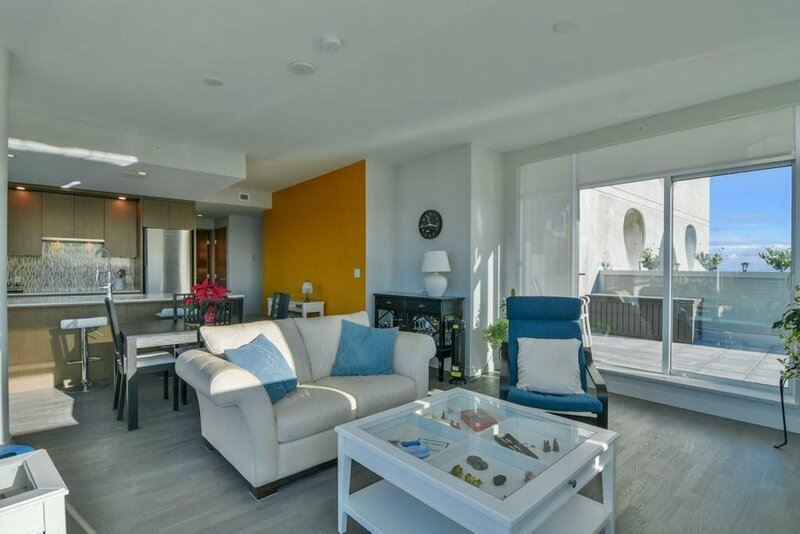 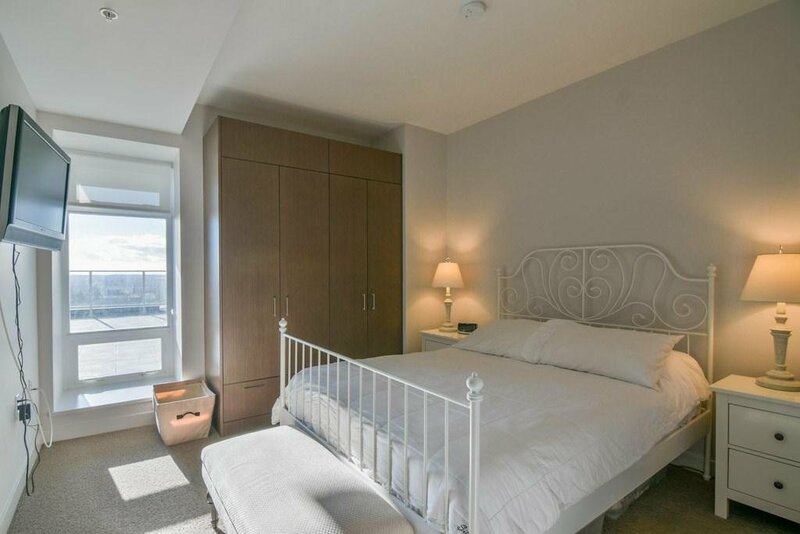 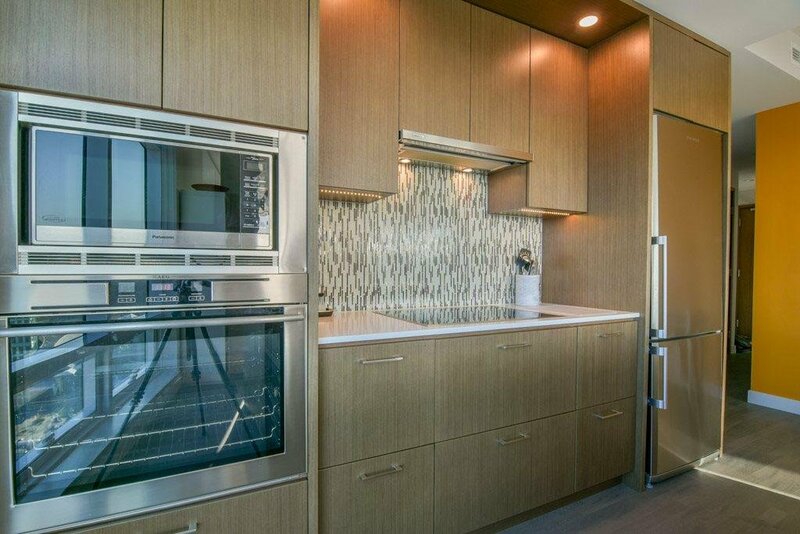 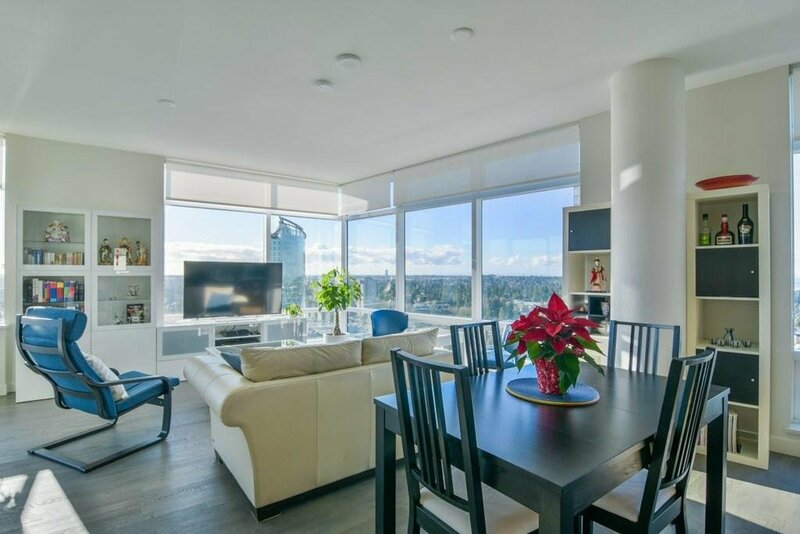 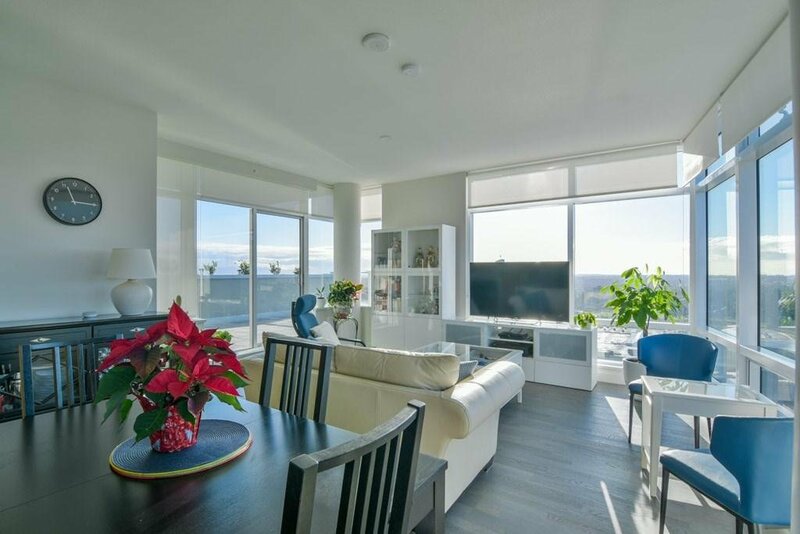 2 bedroom & 2 FULL bathrooms and a 260 square foot roof-top exclusive & private balcony looking South West. 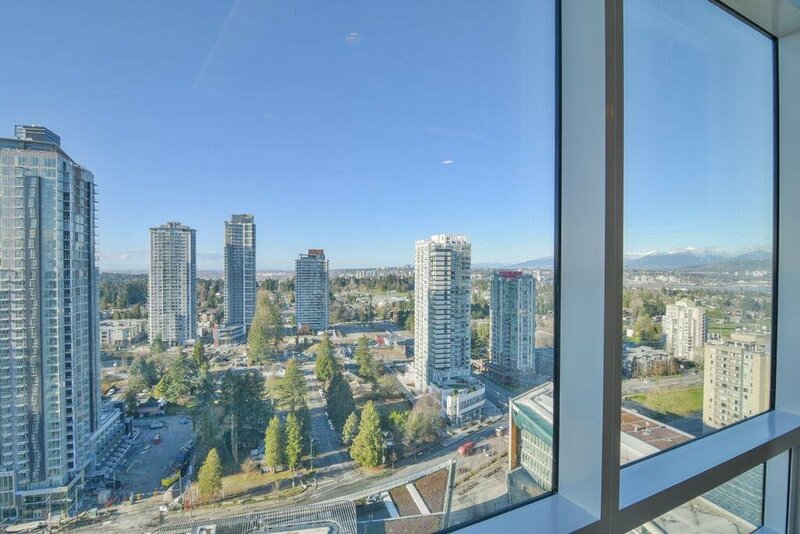 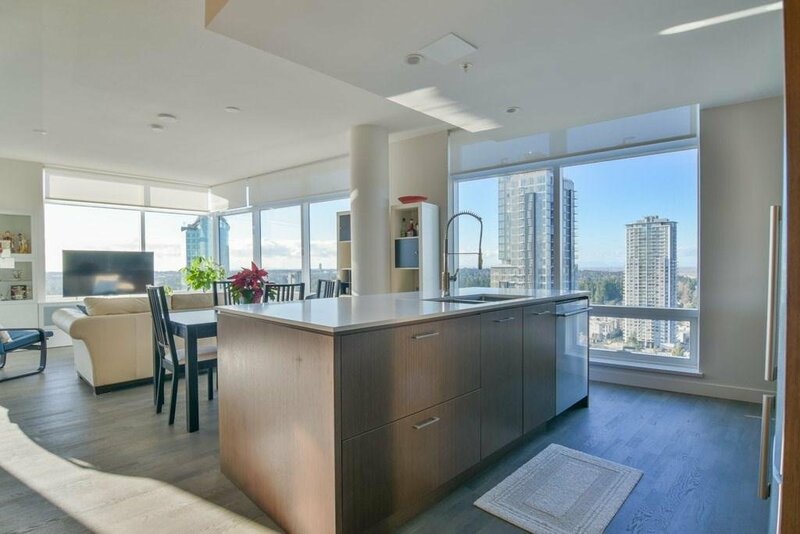 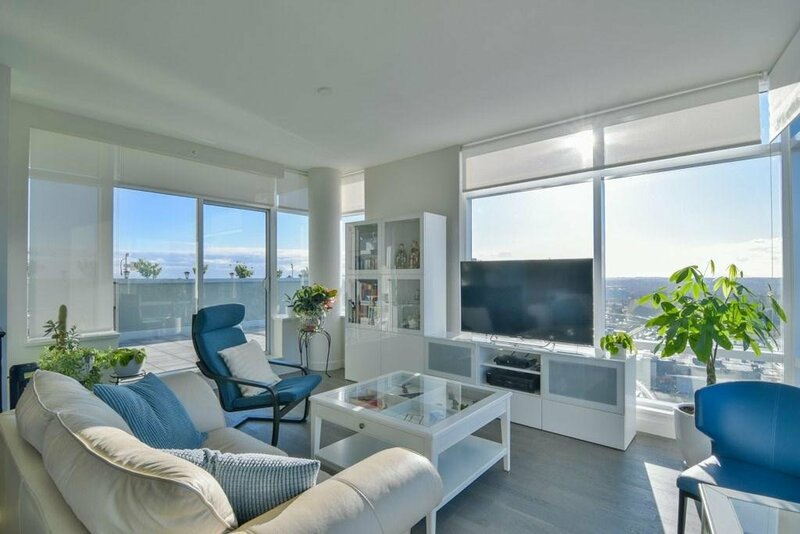 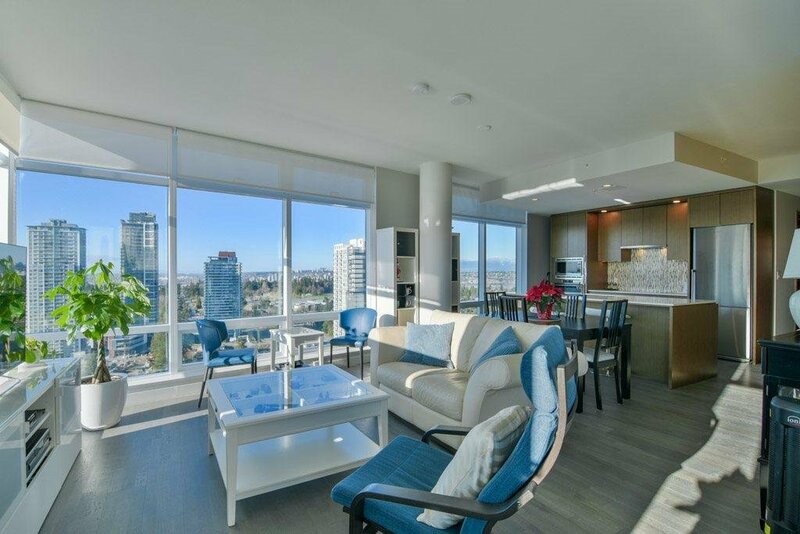 Gorgeous 180 degree unobstructed panoramic views of Ocean, River, North Shore Mountains, City and more! 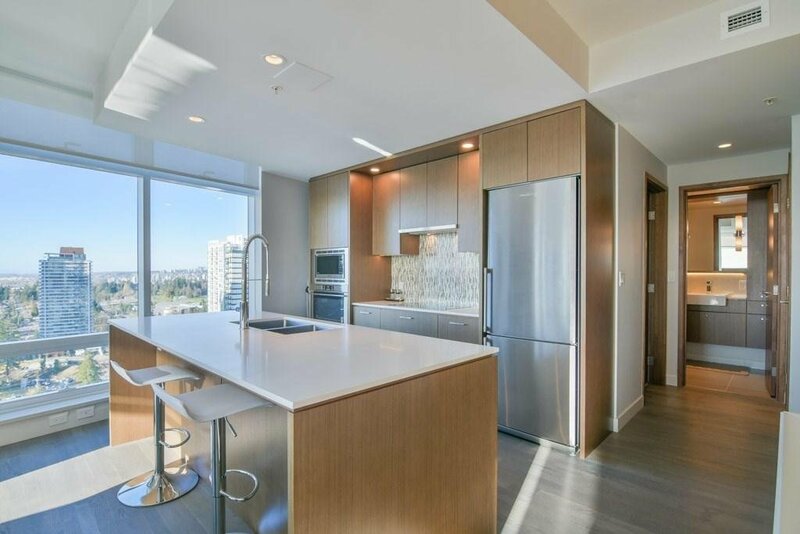 This is by far the BEST unit in the building (seriously) and is a 'MUST SEE' for serious buyers as one look will confirm that the HIGH END finishings, attention to detail, open layout, designer DREAM COOKS kitchen with quartz counters and the best stainless appliances, overheight ceilings, custom windows from floor to ceiling. 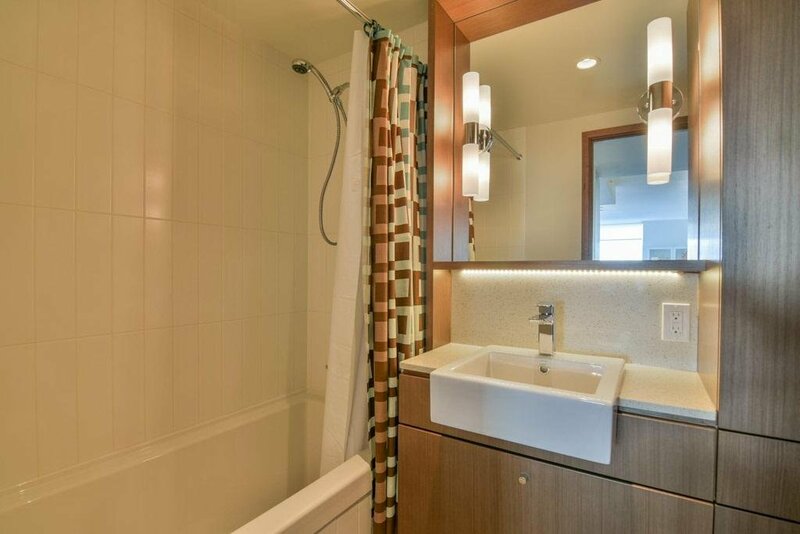 Boutique amenities of the attached Hotel. 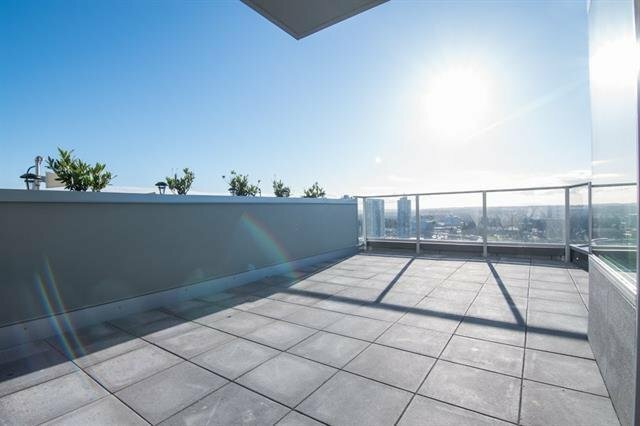 Selling LESS than assessed value!